Baseball camps and clinics put on by the Dallas Tigers Baseball Club. Register Now to reserve your spot! ONLY 24 SPOTS AVAILABLE PER CAMP!!! Over 500 pitchers have experienced Paul Ahearne’s Pitching Velocity Boot Camps in the past 8 years! Many have gained 3-4 mph in JUST 6 weeks! Some pitchers have seen a 7+ miles per hour improvement!!! We are happy to announce that 90% of all our boot campers had an increase in top and average velocity. There will not be another Velocity Training Program in the DFW area that compares to what this camp will do for you as a pitcher. A series of 4 to 6-week intense arm care, preventative injury training programs for pitchers and non pitchers who want to take their game to the next level! 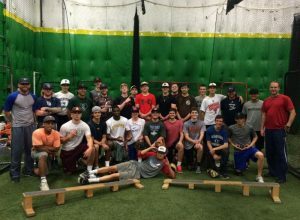 Instead of the typical camp that fades as soon as it is over… this on-going off-season boot camp gives the pitching athlete regular, consistent exposure to the best and the latest information. This is the most intense program for any pitcher to learn how to repeat his delivery, while increasing arm strength and prevent injury. Pitchers will work closely with instructors who are positive, knowledgeable and BELIEVE that every athlete can approach their genetic potential with the right information, the right training and the right work ethic. You get what you put into this camp, like many before that have moved on to the college/professional ranks after attending our boot camp. Come see it for yourself, the best pitcher’s velocity boot camp in North Texas! High School (ages 14-18u) and Youth (9u-13u) Camps available!! with special guests from Arizona State University Coaching staff. will be conducting the camp. All campers will be divided into groups according to age and skill level. Today (Sunday) 10/24, all Carrollton athletic fields are closed. We will NOT be having the Tiger Fall Instructional Program today. Regular program will resume as scheduled next Sunday, 10/31. Make-up date will be Sunday, 11/7, 1:00 – 4:00pm. Enjoy the day off and look forward to seeing everyone next week! Come this fall to get professional baseball instruction from former professional and collegiate baseball players. From 7U to 14U, this will be an exciting opportunity for your son to learn baseball. 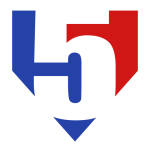 Instruction: Hitting, fielding, bunting, defense, pitching, and much more. Dallas Tigers and Centerfield Academy would like to thank all the instructors from ASU and MLB who helped make this camp a great success! Seattle Mariners Manager Don Wakamatsu (Angels, Rangers, Athletics).